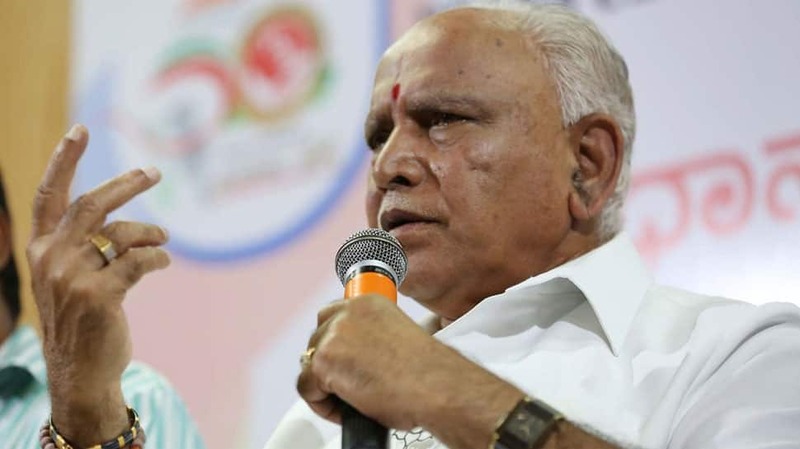 BENGALURU: BJP’s Karnataka unit president B S Yeddyurappa on Sunday accused Karnataka Chief Minister H D Kumaraswamy of blackmailing him,stressing that voice in the audio tape are doctored and not his. “I met Sharanagouda, son of JD-S` Gurmitkal legislator Nanganagouda Kandakur, at Devadurga in Raichur district on February 7 and discussed many things. But the content in the audio tape Kumaraswamy released in Bengaluru on February 8 is fabricated and its voice doctored,” Yeddyurappa told reporters at Hubballi. Talking to IANS, BJP spokesman S Shantaram said that Yeddyurappa would address the issue of audio tape in the state Legislative Assembly on Monday. Recalling what transpired between him and the MLA’s son, Yeddyurappa said he would retire from politics if Karnataka Chief Minister proved that I told Sharangouda money (Rs 50 crore) was given to Assembly Speaker K.R. Ramesh Kumar for not invoking the anti-defection law if he decides to ditch the JD-S for the BJP. The senior BJP leader stressed that he was open for an inquiry into the purported audio tape. Yeddyurappa added that it was Kumaraswamy who had demanded Rs 25 crore from a JD-S leader in order to make him a member of the Legislative Council. The former Karnataka Chief Minister remarked that he wull submit proof in this regard to Assembly Speaker on Monday.